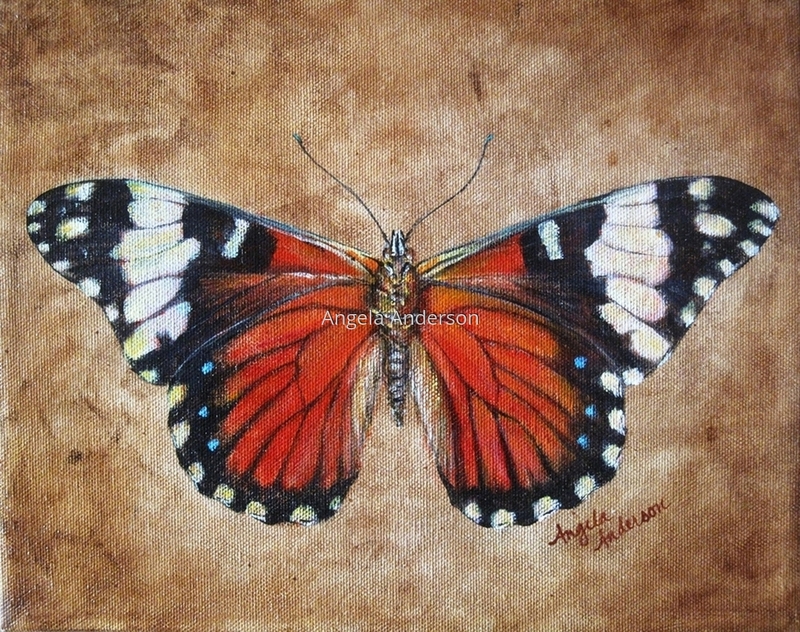 Acrylic painting of the Variable Cracker butterfly. The underside is orange and the top is blue and black. This painting is being sold as a set with Variable Cracker (Top). 8" x 10.125"11" x 13.875"14" x 17.75"17" x 21.5"21.875" x 27.625"